Though yellow color is most popular the rare real pink color is highly priced. 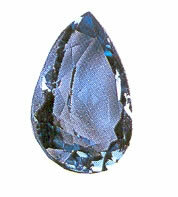 Topaz has a hardness of 8 and an orthorhombic crystalline structure. It is a composition of Aluminium fluorohydroxysilicate. Both Projective and Receptive stones are there depending on their color and vibration.